Located near the intersection of SW Murray Blvd. and SW Hart Road, Hyland Woods Natural Area is a 30-acre forested park that includes about a mile of soft-surface trails. The park is situated within South Beaverton and Highland residential neighborhoods. 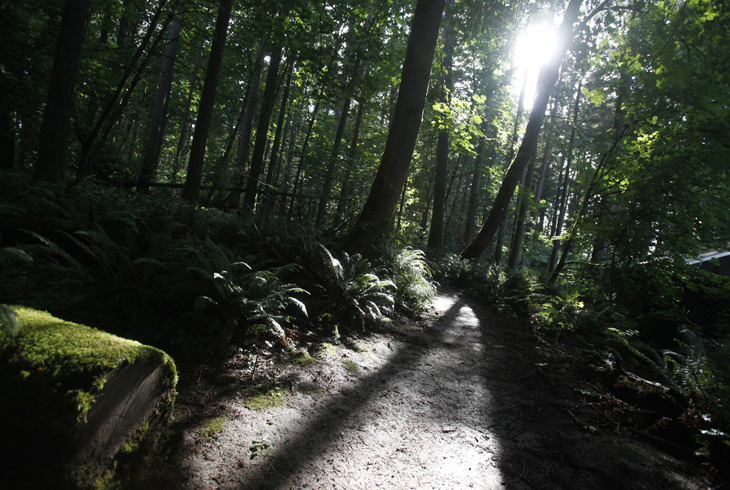 Visitors can stroll through a mature Douglas Fir forest and perhaps see Pileated woodpeckers. Hyland Woods Natural Area is home to an innovative nature play area. 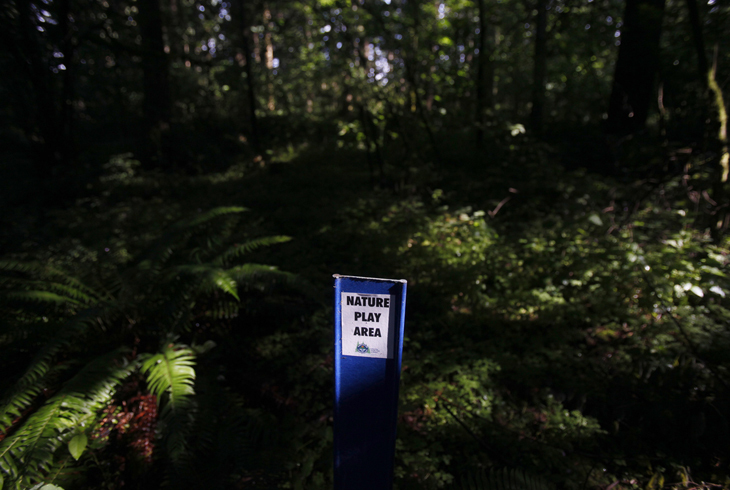 A 1.5-acre section of the park, THPRD’s first “Off-Trail Play Area,” is located in the southeast corner of the park; it is marked by blue posts. Children - and adults too! - can freely play and explore in nature with little concern of disturbing the environment. Visitors are encouraged to interact with the forest in an unstructured manner, using logs to build forts or getting up and close with nature off-trail.